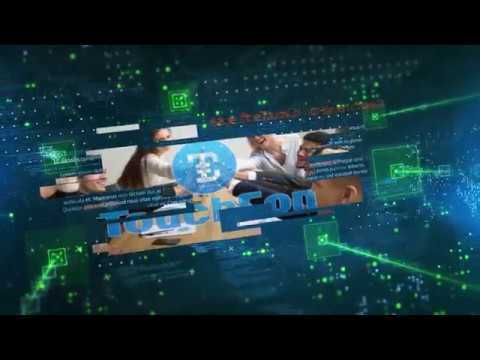 TouchCon Eco-system Platform The TouchCon ecosystem Project is a combination project to create, stabilize, and maintain a cryptocurrency ecosystem. Creating the first cryptocurrency mining system using QR Data Code to complete the patent registration application! To overcome the limitations of computer mining and to create a naturalist mining and ecosystem, the 3D QR Data Code was integrated with the O2O Ad market. In the future loT-market, the Device-to-Device network connection will be dominated by the TouchCon QR Data Code. This method obtains TouchCon with Pre-mined and stores TouchCon value in the QR Data Code at random. The stored QR data code will also be sold to an advertiser for use in O2O commercials. This method gives users easy access to the QR data codes attached to products or services and allows them to obtain TouchCon by scanning. As a result, users become more interested in and responsive to TouchCon. The advertiser buys the QR Data Code that contains the TouchCon value to use them in online for games, SNS, and shopping malls. Also, the advertiser may expect an increase of publicity and sales in offline by applying a form of printing or presenting on products or store. Profits sold to the advertiser are distributed fairly in the AMRP way to the existing TouchCon owner. TouchCon obtained from the QR Data Code scanning is used for online and offline payments as well as for P2P and free remittance. Free trading and exchange are also carried out through Bitbigbang Exchange that is built on an HTS solution.